1 Place the sugar in a pot with the water and stir well. Bring to the boil and allow to bubble for 3 to 4 min. Add the coffee, vanilla pod and seeds and cocoa powder and leave to cool. 2 Sieve the mixture into a flat metal bowl and freeze for at least four hours. Stir well every 30 min with a fork so that no large ice crystals form. 3 Mix together the strawberries, icing sugar and liquor and steep for 10 min. 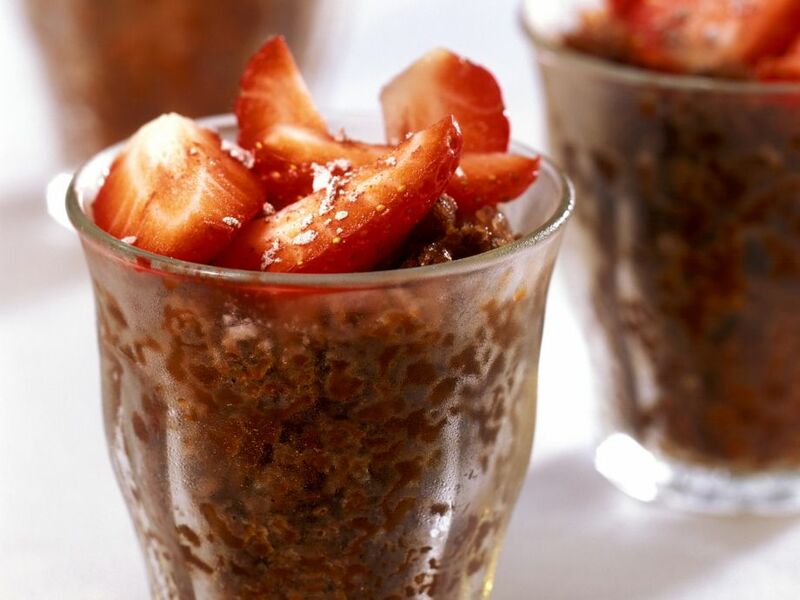 4 Stir the granita one more time, pour into glasses and serve garnished with the strawberries.